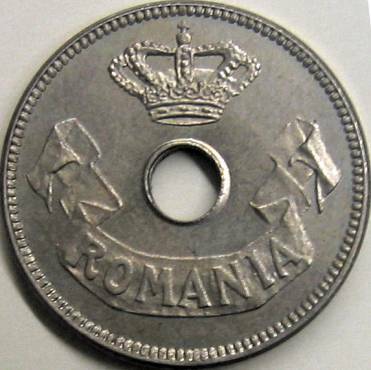 Romanian numismatics knows lots of monetary patterns, many of them being presented inside monograph Monede şi bancnote româneşti (Romanian Coins and Banknotes) by George Buzdugan, Octavian Luchian and Constantin Oprescu (1977). The first pattern on the page appears at position 210c and was struck at Brussel. 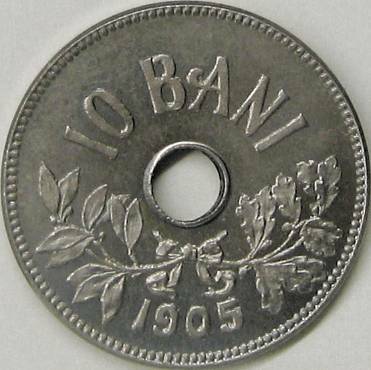 Click here to see the business strike of 10 bani 1905 coin. The first 10 bani 1905 pattern pictures above are present on the site through the kind permission of an anonymous donor. The second 10 bani 1905 pattern pictures above are present on the site through the kind permission of Mr. J. Ardelean.